In order to add books to your cart or wish list, place a hold, or rate an audiobook, you’ll need to be signed into the site. 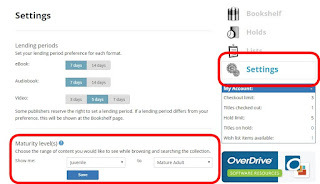 After you have entered your library card number into the site, you have access to information under “Account.” This link can be found at the top link bar. Displays the items you currently have checked out. Audiobook titles are checked out by default for seven days. 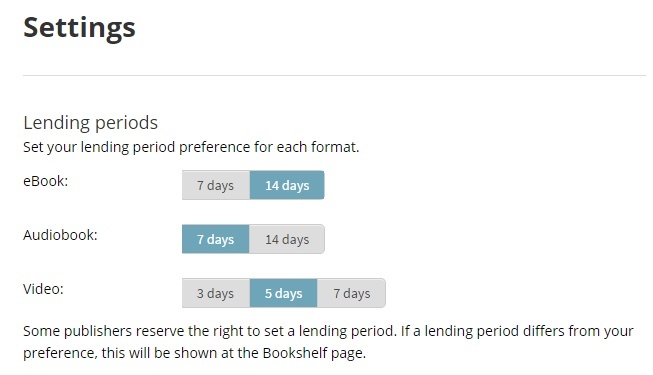 eBook titles are checked out by default for 14 days. It is possible to change the default lending period. See below. Most items can be returned to the collection early. If you need more or less time to read or listen, you can change your default lending period to 7 or 14 days. The blue color is the active period. Note: Very few libraries offer video. Displays any items you have placed on hold. Items that are not currently available for check-out may be placed on hold for you. 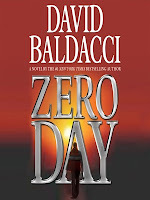 The Consortium purchases multiple copies of audiobook and eBook titles. Typically a new title will be purchased when there are at least ten people waiting for the title. In order to place a hold, you must submit a valid email address. You will receive an email when the title becomes available to you. You can opt to automatically checkout a title when in becomes available for you. You must have an available checkout remaining to receive the title. 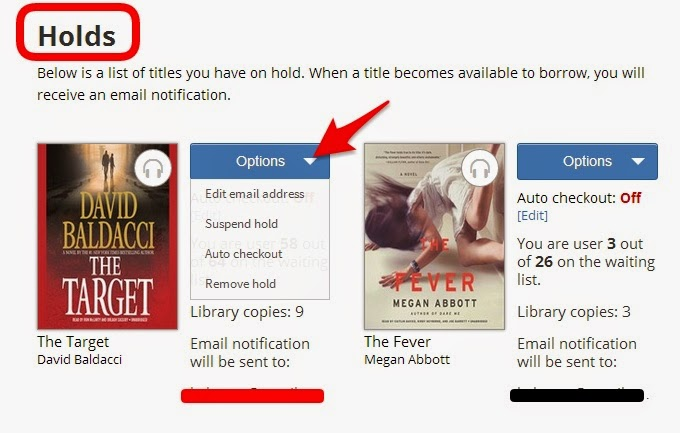 If you cannot automatically checkout a title or you opted not to, you only have 48 hours to check out the title after the hold notification email is sent before the hold is removed and the title becomes available to the next person on the waiting list. You may remove the hold or suspend a hold (Account >> Holds >> Options >> Remove/Suspend Hold). See below. When it rains, it pours, right? All of a sudden, you find yourself with five available holds and only three available checkouts. The good news is now you can suspend your holds for a period of time and not lose your place in line. You also have the option to edit and cancel the suspension. 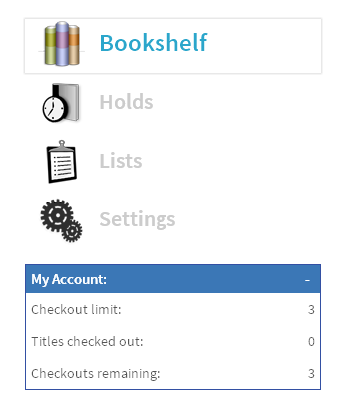 Note that you can set specific titles to automatically checkout when they become available. If there is no available room in your checkouts, you will still be sent an email notification. Nothing will change if you do not change this option. The wish list is an inactive list. You are not on hold for the title. 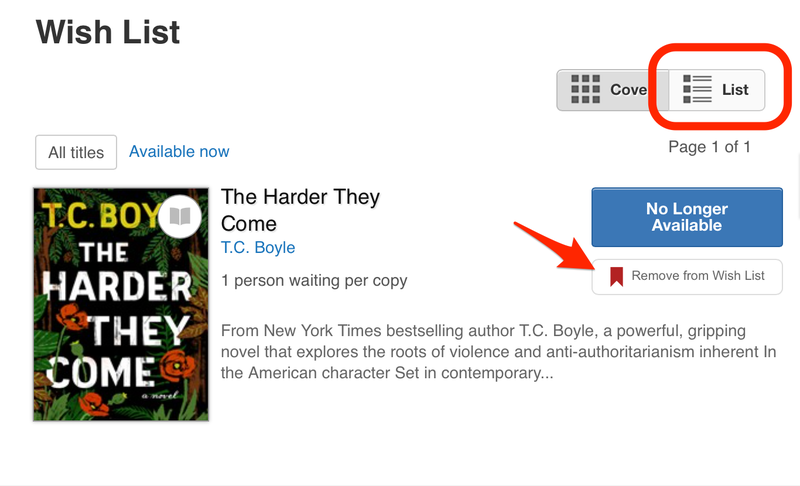 Use the wish list to keep track of the books you’d like to listen to, but don’t have the time for now. 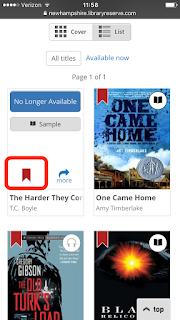 Titles displaying a "red ribbon" have been added to your wish list. Click the “gray ribbon” to add a title to your wish list. The ribbon will turn red. Click a “red ribbon” to remove a title from the wish list. The ribbon will turn gray. It's easiest to see this feature in "List" view. But it can also be removed by tapping the small red ribbon in "Cover" view. Rated titles displays a list of books you have given a star rating. 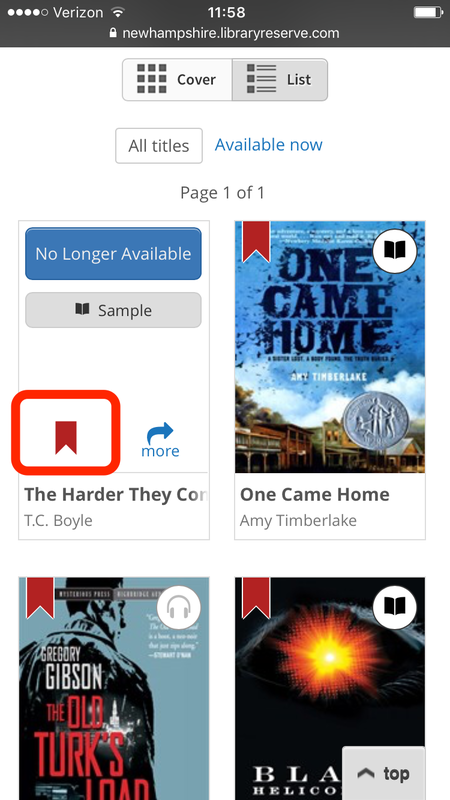 When you are logged into the site, you have the ability to rate the audiobooks. Grayed out stars: No one has rated the title. Blue stars: Others have rated the title, but not you. Yellow starts: You have rated the title and this is your rating. Within your Account >> Settings, you'll see the option to reduce the visibility of titles based on the maturity level. Furthermore, you can now turn off cover images for adult titles. 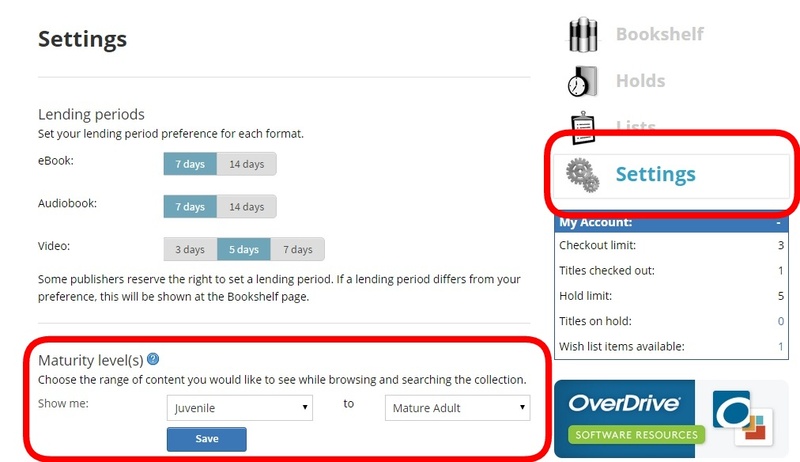 Tip: If you only wish to view adult titles, be sure to change the settings from "General Adult" to "Mature Adult." Selecting only "Mature Adult" to "Mature Adult" will result in a very limited selection of titles. When you are signed into your account, the system now tries to recommend titles for you based on your current checkouts and holds. This is found on the home page of the site.